The literary canon is filled with intelligent, feisty, never-say-die heroines, and legendary female authors. Like today’s women, they too placed a premium on personality, spirituality, career, sisterhood, and family. When their backs were against the wall, characters like Scarlett O’Hara, Jo March, Jane Eyre, and Elizabeth Bennet fought back—sometimes with words, sometimes with gritty actions. Their commonsense decisions resonate even more powerfully in a world where women are forced to return to the basics, paring down and shoring up their resources for what lies ahead. 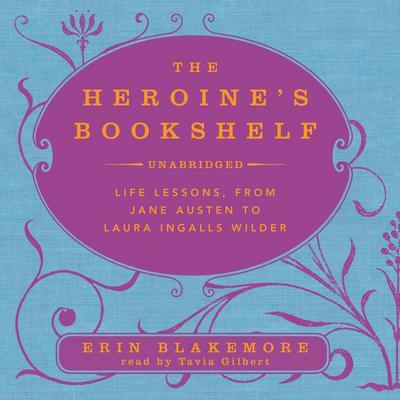 In this compelling book of beloved heroines and the remarkable writers who created them, Erin Blakemore explores how the pluck and dignity of literary characters such as Scout Finch and Jo March can inspire women today. She divides these legendary characters into chapters that pair each with their central quality—Anne Shirley is associated with irrepressible “Happiness,” while Scarlett O’Hara personifies “Fight.” Each chapter includes insights into the authors’ lives, revealing how their own strengths informed their timeless characters. From Zora Neale Hurston to Colette, Laura Ingalls Wilder to Charlotte Brontë, Jane Austen to Alice Walker, here are some of the most cherished authors and characters in literature. The literary canon is filled with intelligent, feisty, never-say-die heroines, and legendary female authors. Like today’s women, they too placed a premium on personality, spirituality, career, sisterhood, and family. When their backs were against the wall, characters like Scarlett O’Hara, Jo March, Jane Eyre, and Elizabeth Bennet fought back—sometimes with words, sometimes with gritty actions. Their commonsense decisions resonate even more powerfully in a world where women are forced to return to the basics, paring down and shoring up their resources for what lies ahead. In this compelling book of beloved heroines and the remarkable writers who created them, Erin Blakemore explores how the pluck and dignity of literary characters such as Scout Finch and Jo March can inspire women today. She divides these legendary characters into chapters that pair each with their central quality—Anne Shirley is associated with irrepressible “Happiness,” while Scarlett O’Hara personifies “Fight.” Each chapter includes insights into the authors’ lives, revealing how their own strengths informed their timeless characters. From Zora Neale Hurston to Colette, Laura Ingalls Wilder to Charlotte Brontë, Jane Austen to Alice Walker, here are some of the most cherished authors and characters in literature.